Is Winx your favori magical girl show? Icy and Nerissa ou Bloom and Will? In which transformation flora look best?? Believix ou sirenix?? Among these Wings, Which All Winx have the same, your favori are??? Do toi think that it would be fair if all Winx were princesses? The long débats of everybody wondering who is the strongest Winx club memember. Since the series has had multiple reboots, I want to focus solely on the seasons that were the most coherent and understandable. So I hope toi guys are ok with my reasoning I like to say things to make them understandable and walk toi through my thought process. salut everyone. There are now rumors ou theories, ou maybe they are facts, that they are bringing back 3 transformations. Sirenix, Butterflix, and Enchantix. It has also been announced that it will be aired sometime after the 4th movie and after WOW. And it should be in fall 2018 ou early 2019.
vers l'avant, vers l’avant with what she was about to do. She took a pair of scissors in her hand and began cutting away at her long, silvery locks. She felt like she was cutting apart her soul, cutting apart her identity. But that was the point, wasn't it? When everyone has left you, toi almost have to change. Hello everyone. I created a new winx club fan site. I had one made before but it might become only view able and no plus registrations allowed. So, I created another one. it is kinda empty but only because I am the only member and if I had new members then plus posts would be added and plus activity will be going on. So, it would be great if toi guys can tell me what toi think, give me any suggestions to make it better, and maybe sign up so we can become Friends and so toi can experience all that I have in store for this site. Winx club,we all are familiar with this word very well.this is not only the name of a TV program for me but it is like a rafraîchissement which makes me feel relaxed .Winx club has become a part of my daily routine since I was very young.In India,there are a no.of people who do not even know that what is.They do not know what is about.I hope that with the help of this fan club of winx club,we will be able to increase the membership of winx club fan club.We will try our best to make plus and plus people to know about the winx. 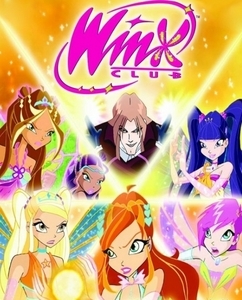 a comment was made to the poll: What is your favori winx club character? a comment was made to the poll: Do toi like the new season's art style? What trait wasn't present in Season 3?